Can VR rejuvenate old coasters? Jump to media player LJ Rich gets an exclusive look at new technology being used to rejuvenate the roller coaster world. Can virtual reality rejuvenate old roller coasters? 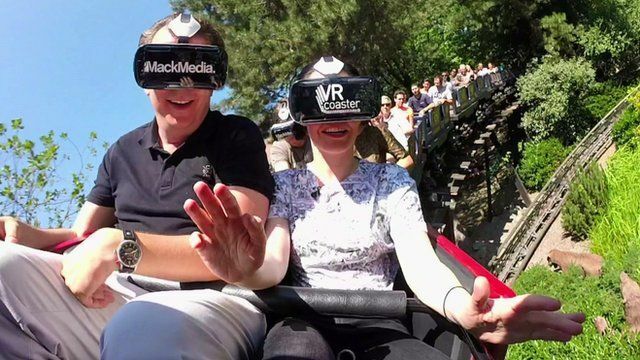 Europa Park in Germany is currently testing a virtual reality (VR) system that allows roller coaster riders to experience VR while on the ride. BBC Click's LJ Rich got an exclusive look at the new tech and talked to one of those behind behind the theme park.